• A workshop imparting knowledge: On most topics, the research, data, information, and visuals are nearly unlimited for presenting an educational event. So how do you boil it down? You can approach it like a fill-in-the-blank exercise. The five “W’s and an H”—who, what, when, where, why, and how—provide a good start. But that method can fall flat without a little more heart. 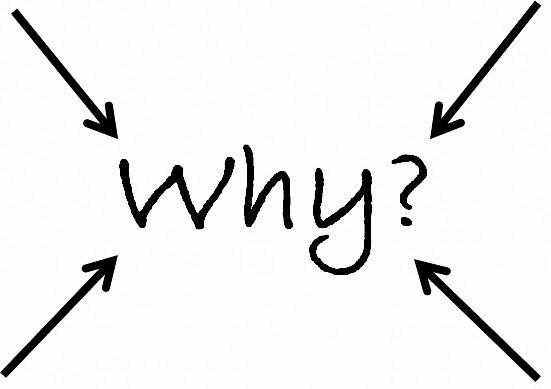 It’s really the mystery of the “why” that helps us expose the purpose of any project at its core, its essence, the reason anyone should care about the message and, ultimately, the product, event, or project, itself. Why would Joe Consumer want to buy your new product? Why should Mrs. Community Member choose to attend your event over staying home to watch her favorite TV show? And why is your workshop a more effective way to learn about “topic X” than simply learning about it independently online or by reading a book? Exposing the “why” sounds simple, but it’s not. It takes major sleuthing and big-picture thinking about all the minute details to reveal the true reason for the relevance. Fortunately, that effort can yield impressive results. For more thoughts on the importance of “why,” check out this article from MIT Sloan Management Review.